A test of non-verbal intelligence for use with children and adolescents. The CFT 20-R is a test of non-verbal ability for use with children and adolescents aged from 8½ to 17 years. This test does not rely on language knowledge or cultural background, and so is particularly useful where fair assessment of children and adolescents from different linguistic and cultural backgrounds is required. The items in the CFT 20-R use graphics so that those with impaired or reduced language skills are not at a disadvantage, and the demographic information included in the new UK-specific norm groups ensures its widespread applicability. 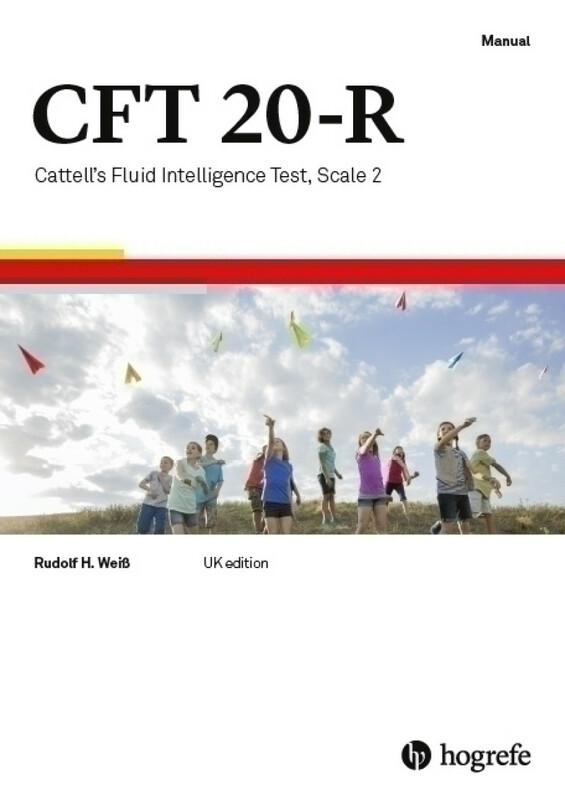 The CFT 20-R has a long and impressive history, having originally been developed by the influential psychologist Raymond Cattell and published as the Culture Fair Intelligence Test (CFT). Cattell’s goal in constructing the CFT was to develop a test which would measure intellectual potential in its purest form – reducing as much as possible the influence of environmental and educational factors which may interfere with scores on ability and indeed with everyday life. The result is a test that taps into the test taker’s ‘fluid intelligence’, a term coined by Cattell to describe the capacity to think logically and solve problems in novel situations. Fluid intelligence operates independently of acquired knowledge and is considered to be largely unaffected by both cultural biases and educational level. The CFT 20-R looks at the ability to identify patterns and relationships through a series of graphic exercises. The test is structured in two similar parts, each with four subtests: Series Continuation, Classification, Matrices, Topological Conclusions.